The marvelous Greg Pizzoli is gifting us with a Christmas book this season! The 12 Days of Christmas is overflowing with Pizzoli's charming characters and his unique, slightly retro palette of pale reds and greens with gentle shades of grey bringing balance. Without changing the traditional carol, Pizzoli brings a new perspective to the song. 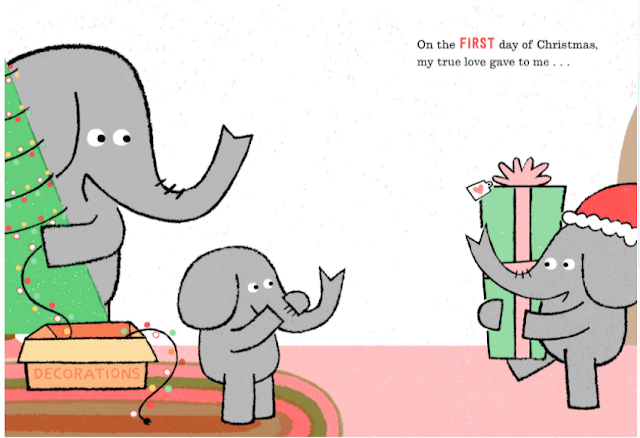 A young elephant and her/his parent are decorating the tree when another young elephant stops by with a gift - a partridge in a pear tree. As the days of Christmas unfurl and the gifts keep arriving, the parent elephant's anxiety over a house filling with fowl increases. Pizzoli brings humor to the song as the parent elephant tries to cope with the new houseguests, but patience wears thin. Another twist Pizzoli brings to the carol comes on the eighth day when the maids a-milking appear in the form of cute mice carrying milk cartons. From there, the ladies dancing, lords a-leaping, pipers piping and drummers drumming are all clever and charming. 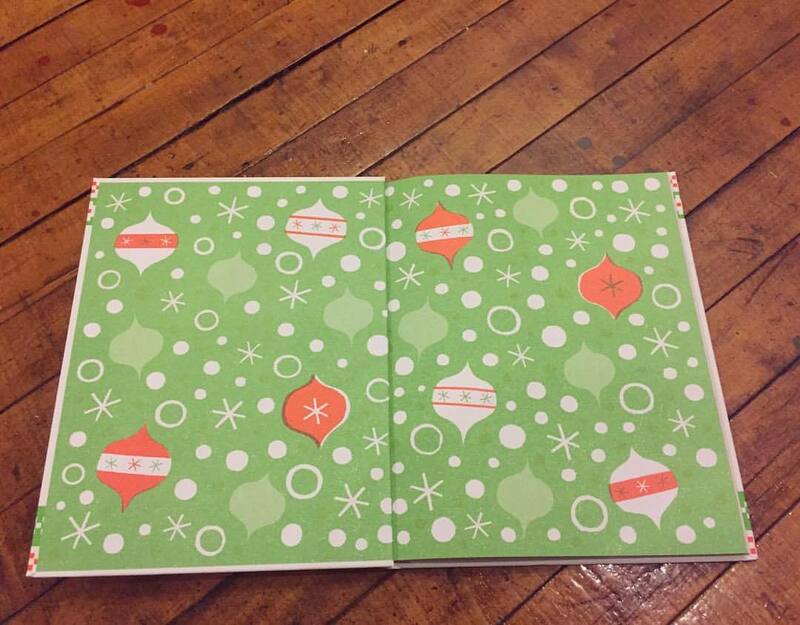 Besides a sense of humor, Pizzoli has a great sense of design that shines through as the days of Christmas - and gifts - pile up. 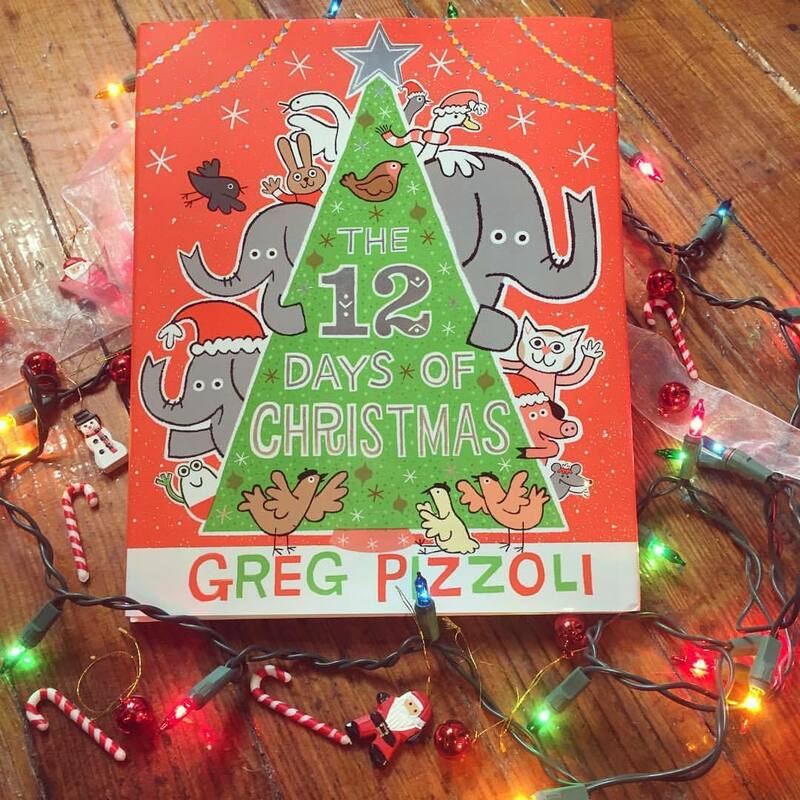 Somehow, all kids seem to know this song, which makes Pizzoli's The Twelve Days of Christmas the perfect way to put pictures with the words.